When we started Boise Solar Panel Savers we really had to fight off a lot of misunderstandings that people had. Many Idahoans are confused about the viability of solar panels in Nampa. Specifically that we do not get enough sunlight in Nampa for solar panels to work. Even though we started in Boise we want to make sure that people know that solar panels definitely work in Nampa! We hope to dissolve a lot of the doubts that people still may believe about solar energy when considering solar panels in Nampa! Nampa is actually one of the cities in all of Idaho that gets more than enough peak sun hours to be able to get solar panels working efficiently. For the most part, it will be well over the necessary 4 peak sun hours per day. The amount of sunlight should not be something that people here have to worry about when thinking about installing solar panels. The average peak sunlight hours through the entire city of Nampa is around 5.7 hours per day. Residents in Nampa have many great solar incentives so both companies and homeowners can get benefits. Residents are able to take advantage of both the state and federal income tax solar incentives in Nampa. We can help you find out whether you personally are able to receive these type of benefits or not. We can help you understand the types of tax breaks that you can qualify for when installing solar panels in Nampa. We are not CPA's though and we will recommend that you speak to your accountant to ensure full utilization of the tax benefits for solar in Nampa Idaho. We can provide all of the documents that you may need though to file for any form of tax breaks available with your solar power installation! Solar Panel Installation in Nampa? We know though that a lot of people are not certain if we offer our full-service solar power installations outside of Boise. We are happy to say, "We are a full-service solar panel installation company in Nampa!" We speak at length about this in our solar panel costs page (here). What does this mean for you? It means that we can guide you through the buying process of solar panels. 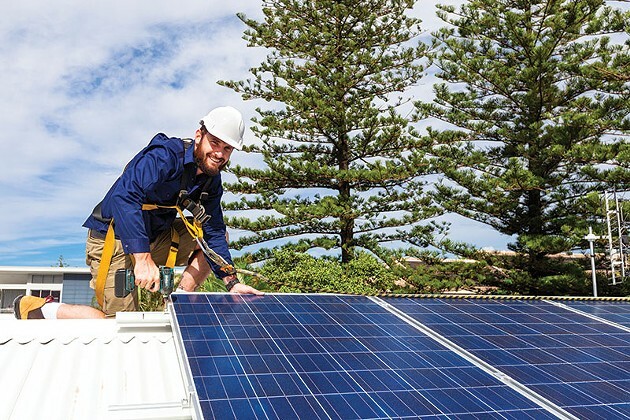 We ensure that you can get the best deals from all of the top solar panel brands. Then we can take care of the installation and monitoring of your panels so that you just have to worry about turning on the lights! What Do I Need To Install Solar Panels In Nampa ID? For the most part, people are familiar with solar panels that are installed on rooftops. This is usually a great option for residential areas. We have gotten a lot of questions though from people that really don’t want to install solar panels in Meridian on their roof. So they want to know how much of their lawn or property solar panels will take up. It is hard to really give an answer to that. The easier answer is that there are many places that solar panels can be placed other than the roof of your home or business. Carports, garages, barns sheds, and ground mounts are all usable alternatives if the can pass inspection. We can always come out your property and take a look around with you to see what options could be a good fit for installing solar panels.